Developing innovative water quality models and analyzing modeling results for private clients, municipalities and regulatory agencies are two of McFadden Engineering’s specialties. A leader in environmental water quality testing requires state-of-the-art in-house laboratory equipment. There are many benefits to working with McFadden Engineering for water quality analysis. 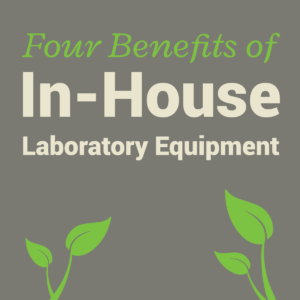 Here are four of them directly related to their in-house laboratory equipment. Access to in-house laboratory equipment means results are available in a matter of hours, rather than days or longer. This capability allows McFadden Engineering to make recommendations on adjustments to wastewater treatment processes to maximize treatment efficiency and assist clients with compliance. Shorter wait times means faster analyses of issues related to treatment processes that enable McFadden Engineering to meet and exceed project deadlines. Outsourcing laboratory results mean additional line items in a project’s budget. Let McFadden Engineering help streamline your project’s laboratory needs. McFadden Engineering utilizes one of the industry’s lightest and most compact portable spectrophotometers that can perform a variety of water quality analyses using approved EPA methodology and verifiable accuracy using quality control standards. With McFadden Engineering’s equipment, clients gain access to a wide variety of analytical capabilities. From tests for metals, nutrients and other water quality parameters, the flexibility to customize testing requirements works to everyone’s advantage. Partner with McFadden Engineering on your next project to gain access to industry-leading in-house technology that achieves results.